Virtual jobs at Amazon are nothing new. The company has been hiring home-based employees for years and we continue to see the opportunities grow – in the US and around the world. The types of work and the locations and salaries vary greatly. So if you don’t see something today that you like, be sure to bookmark their Virtual Locations page and check back often. Amazon gets good ratings from past and present employees, scoring 3.6 out of 5 stars on Indeed.com and 3.8 out of 5 on Glassdoor. As mentioned, pay will vary by job, but Amazon recently declared that all employees will be paid at least $15/hour. 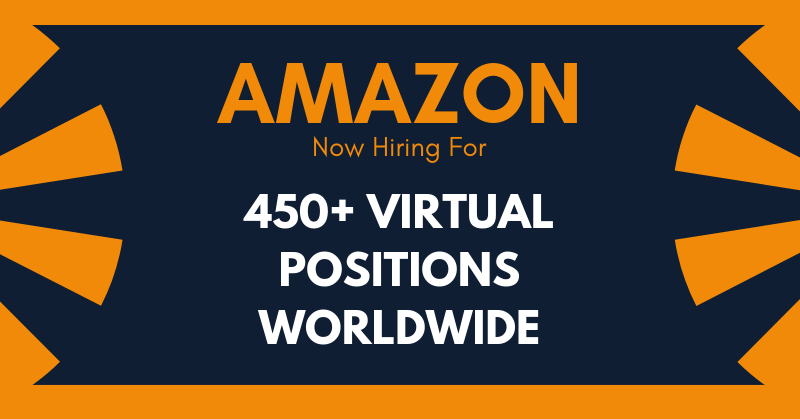 Click here to see all of the virtual positions listed at Amazon right now, and use the tools in the left column to narrow your search results. For more jobs like these, check our Newest Jobs & Gigs page. May you be working from home soon!